As difficult as it may be for sports fans to accept, not everyone will be glued to television sets on the evening of February 3 watching the Super Bowl. Not everyone is a sports fan. There are some people who do not subscribe to the “Super Bowl über alles” line of thought. Actually, there will be many sports fans in the area who will record the big game and watch it later – because they have something that they consider to be more important. That particular something is attending Sarah Brightman’s concert on Sunday evening at The Met (858 North Broad Street, Philadelphia, http://themetphilly.com). Brightman’s “HYMN in Concert” tour, which starts at 8 p.m., focuses on her new album “HYMN,” which was released on November 9, 2018. Brightman’s fans attending the show will be in for a special treat. 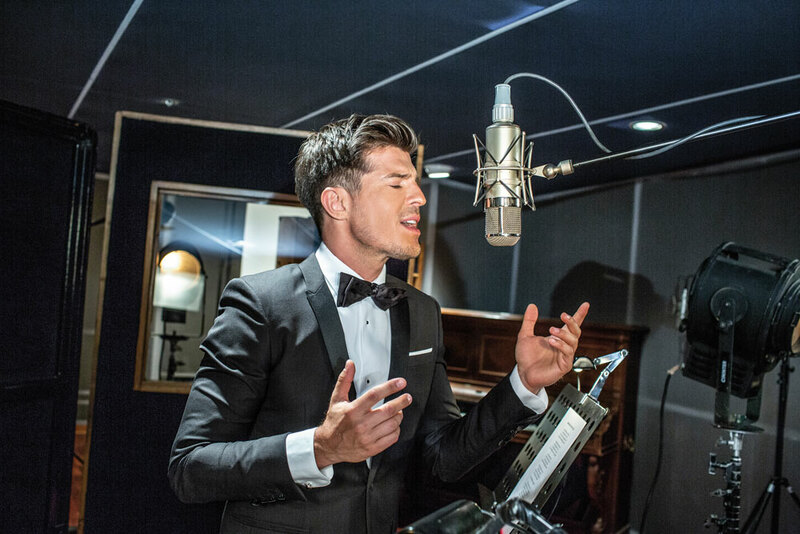 Joining Brightman on vocals on several songs in the show will be one of France’s top young vocal talents – Vincent Niclo. “I’ve been touring with Sarah Brightman and we just arrived from Mexico,” said Niclo, during a phone interview Monday morning from a tour stop in Baltimore. “Our first show in the states will be Wednesday in Baltimore. Niclo is a Paris-based tenor who has released six solo albums in Europe – “Un nom sur mon visage” (2006), “Opera Rouge” (2012), “Luis” (2013), “Ce que je suis” (2014), “5.Ø” (2016) and “Tango” (2018). “I’ve been singing since I was a baby,” said Niclo. “My father was a singer and a musician. He listened to everything from Sinatra to the Bee Gees to Motown. My mother was a big Motown fan. “I started studying music theory at school when I was six. I didn’t know that later in my life, I’d have the chance to sing with Celine Dion, Placido Domingo and Sarah Brightman. Placido contacted me for his Christmas album and I did a duet with him. For me, it’s a dream come true. “One of the most important influences on me as a singer was when I heard a recording of Luciano Pavarotti singing ‘Nessun Dorma.’ I broke down in tears. I was overwhelmed by the emotion – the emotion and power — of his performance. I wanted to have that power. His star began to rise and pop superstar Céline Dion invited him to open for her on several high-profile shows. Now, Niclo is sharing the stage with another of the world’s premier female vocalists – Sarah Brightman. “She has a home in southern France, and she saw me on a television show,” said Niclo, who is a huge soccer fan – especially France’s World Cup champion squad. Niclo’s love of the Phantom of the Opera character is on display during the shows on Brightman’s current concert tour. Because of the combination of his soulful, romantic vocals and his emotional delivery of the songs, many of the world’s greatest singers have invited Niclo to collaborate with them, includingIl Divo, Michael Bublé, Charles Aznavour, Michel Legrand, Domingo and Brightman. To date, Niclo has released six studio albums, which together have sold ten times platinum. His repertoire ranges from classic opera themes, to the biggest pop songs as well as his own interpretation of other musical genres such as tango. 2019 will be the year Niclo will begin focusing on his international career. Sharing the stage with Sarah Brightman is a great start. 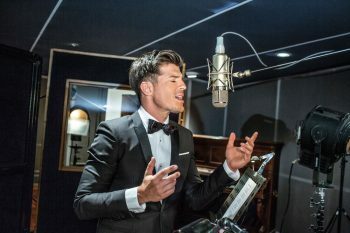 Video link for Vincent Niclo and Sarah Brightman — https://youtu.be/a1fit4YSNkA?list=RDa1fit4YSNkA. The show at The Met will start at 8 p.m. Tickets start at $43.75. Opera and classical music will be featured in two other events scheduled for February 3 and, fortunately for attendees who like both music and football, there will not be a conflict with viewing the Super Bowl because both concerts are matinee shows. Opera Tutti! is a new resident company at the Knauer Center for the Performing Arts and “The True Story of Cinderella” is a work by Warren Martin. Opera Tutti! features talented performers such as company director/soprano Heidi Starr, soprano Catherine Friedman, and tenor Josh Graves – all of whom have all been performing opera together for the past eight years. “The True Story of Cinderella” is not the children’s story, but a musical performance by 12 soloists. “The composer was Warren Martin,” said Starr, during an interview Tuesday at Uptown! Knauer Performing Arts Center. “He wrote this piece in 1955 when he was on the staff at Westminster Choir College. “It was commissioned for the Westminster Choir College for its May Day Celebration. Martin wrote this fractured fairy tale — oratorio style. There are no sets or blocking – just 12 singers all in chairs. 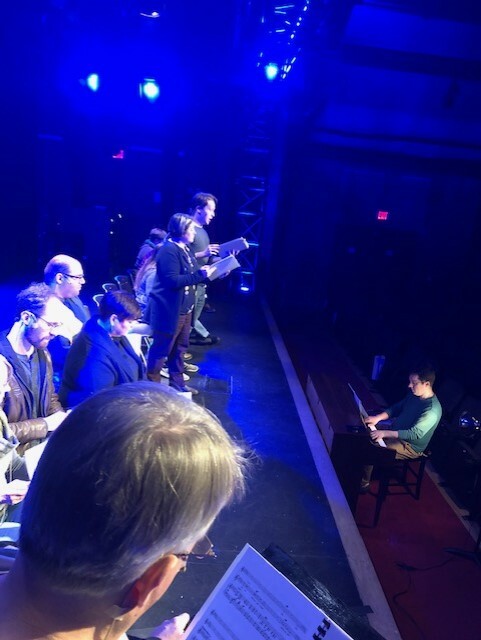 Starr has performed with such organizations as the Boston Symphony, Tanglewood Festival Chorus, Opera Delaware, The Rose Tree Pops, Media Theatre, Hedgerow Theatre and Players Club of Swarthmore. Her singing styles range from opera to Broadway along with classic standards with her trio, Divas á la Carte! She is also in her 15th year with weekly Monday Opera Night at the Fellini Café in Media. Martin (1916-1982), a Westminster Choir College graduate and longtime faculty member, wrote “Cinderella” specifically for the school’s annual May Day Celebration. It was never intended to be staged. Martin insisted that the work be sung “oratorio style”, that is, with the singers in a row across the front of the stage, facing forward, not playing to or looking at each other. Adhering to his advice makes for greater hilarity, since there is nothing to distract from the humor inherent in the music and lyrics. “Martin felt the warmth of this piece was communicated by singing straightforward – human through sincerity,” said Starr. “It’s the traditional story of Cinderella with a twist. It’s all sung with 12 singers, a narrator and a pianist. It’s different but the basic story is the same. Video link for Opera Tutti! — https://www.facebook.com/uptownwc/videos/362173297934580/. The show at the Uptown! Knauer Performing Arts Center will start at 2 p.m. Tickets are $20 for adults and $15 for students. 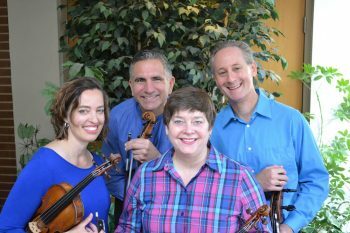 On February 3, Serafin String Quartet will present its first performance of the 2018-2019 season at The Arts at Trinity at 4 p.m. at Trinity Episcopal Church (1108 North Adams Street, Wilmington, Delaware, serafinensemble.org). “These are two gorgeous masterworks filled with musical delights,” said Ransom, during a phone interview Wednesday from her office at the University of Delaware in Newark. “The Mendelssohn work is a special piece for a number of reasons. He wrote it when he was just 18. Even though he was a novice, it turned out glorious. He had been studying Beethoven and was influenced by Beethoven’s String Quartet Opus 132. Mendelssohn was influenced by Beethoven and Schubert was influenced by Mendelssohn. “Schumann String Quartet in A Major Op.41, No. 3 was the third in a set of three he dedicated to Mendelssohn,” said Ransom. “It’s lusher and more romantic with some interesting gravitas. Later this month, the SSQ will be joined by University of Delaware faculty guests for a performance of Schubert “Octet” for strings and winds in F Major, Op. 166, at 8 p.m. on February 13 atGore Recital Hall, Roselle Center for the Arts on the University of Delaware campus (210 S. College Ave., Newark). Tickets for the University of Delaware concert are $15 adults, $10 seniors, and $5 students. Video link for Serafin String Quartet – https://vimeo.com/148481164. The concert on February 3 at Trinity Episcopal Church will start at 4 p.m. Tickets are free.